Eldorado" Gaily bedight, A gallant knight, In sunshine and in shadow, Had journeyed long, Singing a song, In search of Eldorado. But he grew old - This. 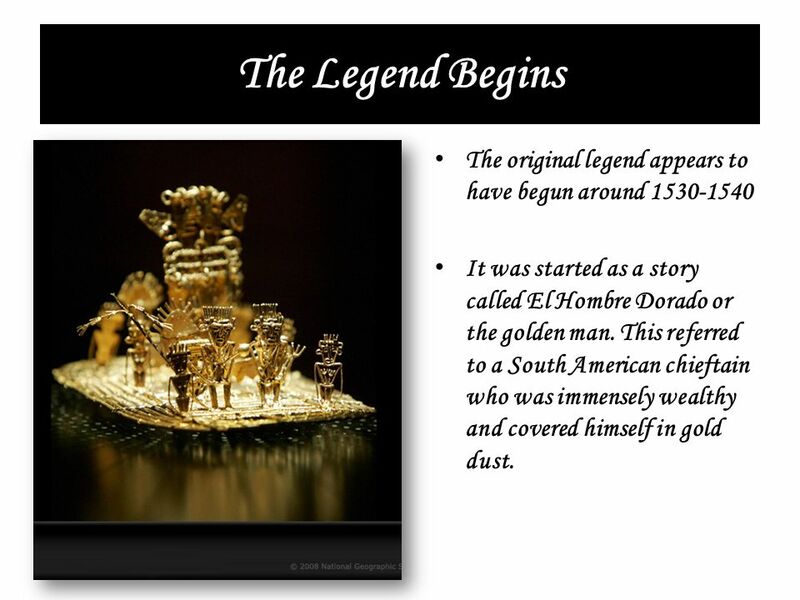 3 The Legend Begins The original legend appears to have begun around It was started as a story called El Hombre Dorado or the golden man. This referred to a South American chieftain who was immensely wealthy and covered himself in gold dust. 4 Why? The reason for such an eccentric royal custom has been unclear. 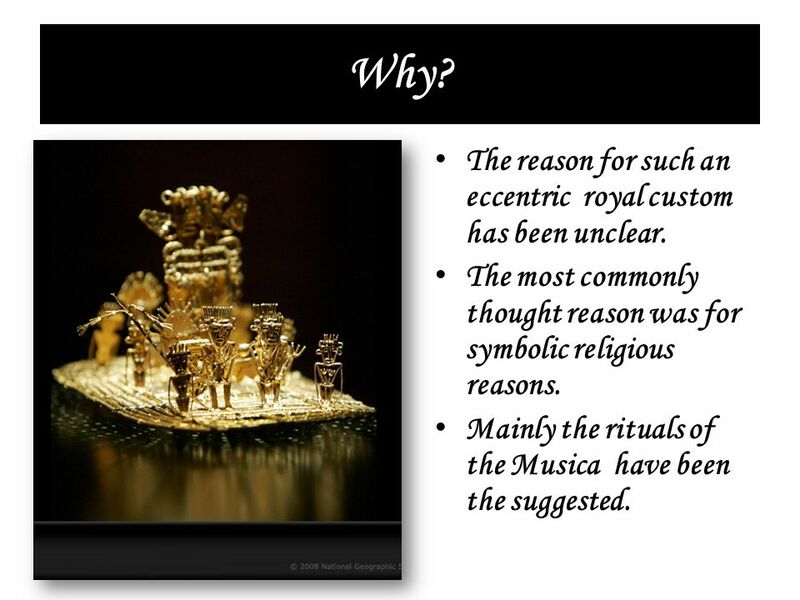 The most commonly thought reason was for symbolic religious reasons. Mainly the rituals of the Musica have been the suggested. 5 The Tragedy Raleigh returned to England, where King James ordered him beheaded for, among other things, disobeying orders to avoid conflict with the Spanish. Watt Raleigh expedition was a disaster, and Watt Raleigh was killed in a battle with the Spaniards. Raleigh returned to England, where King James ordered him to be beheaded for, disobeying orders to avoid conflict with the Spanish. 6 What people thought Because of the things that he did people supposed that there would be a Golden Kingdom and a city or even country where gold was abundant. This kingdom was known to the natives as Manoa or Omoa. 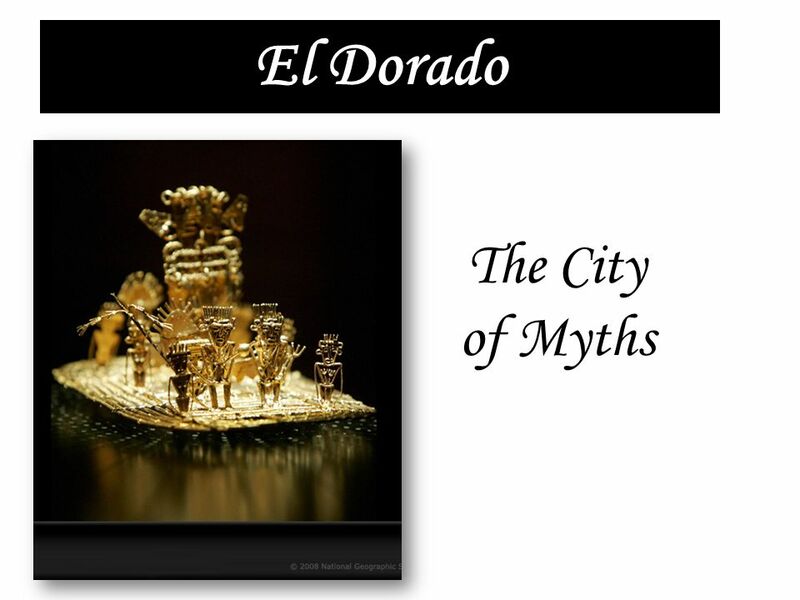 Over the years a number of explorers, looters, and invaders attempted to discover El Dorado. The myth probably motivated a lot of the invasions on the native cities by greedy Europeans. 7 Where was it located? Despite being a legendary, lost city, El Dorado has been found a number of times. One of the people who supposedly discovered its secret was Antionio de Berrio who stated Manoa(the golden city/El Dorado) to be near the source of the Caroni river. 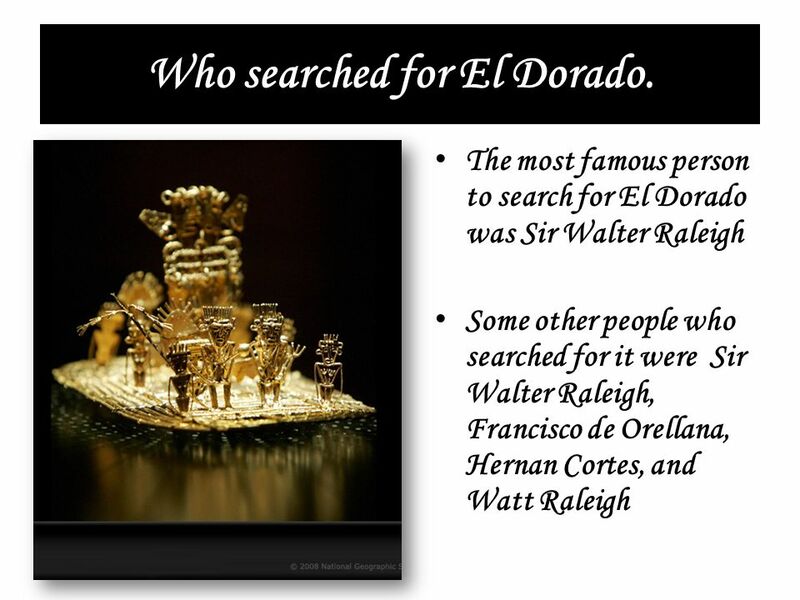 9 Who searched for El Dorado. 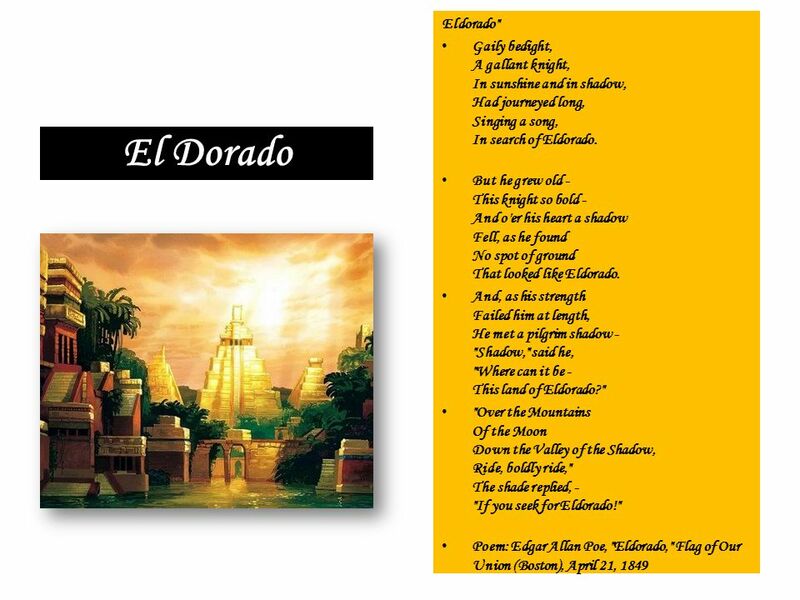 Download ppt "Eldorado" Gaily bedight, A gallant knight, In sunshine and in shadow, Had journeyed long, Singing a song, In search of Eldorado. But he grew old - This." The Person/City/Kingdom/Empire. It is about the Lost City of Z and how Percy Harrison Fawcett tried to find it. But he disappeared with his son and his. European Exploration Factors that allowed the Old World to meet the New. Jeopardy NavigationThe New World European Explorers The Atlantic Slave Trade I Didn't Know I Was Being Tested Over That Q $200 Q $400 Q $600 Q $800 Q. Who is Juan Ponce de Leon? Sir Walter Raleigh. By: Nikki Snapp (:. 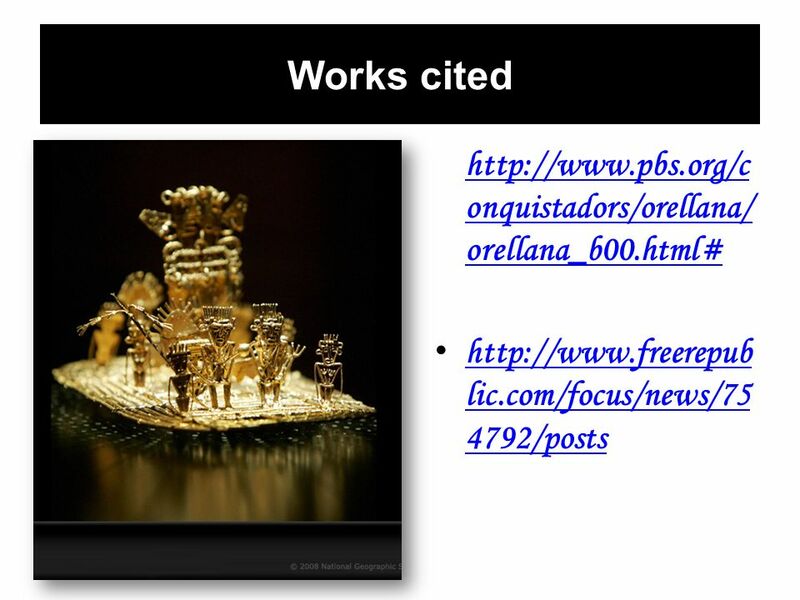 Francisco Pizarro & Atahualpa SS6H1 The student will describe the impact of European contact on Latin America. A deeper look at Ballads and Odes. Bell Ringer: Read the following poem. In your binder, write a few sentences saying what you think the poem is talking. SPANISH EXPLORERS AND CONQUISTADORS REVIEW FOR 5 TH GRADE SOCIAL STUDIES BY JUDY CATES. Edgar Allan Poe “Eldorado”. 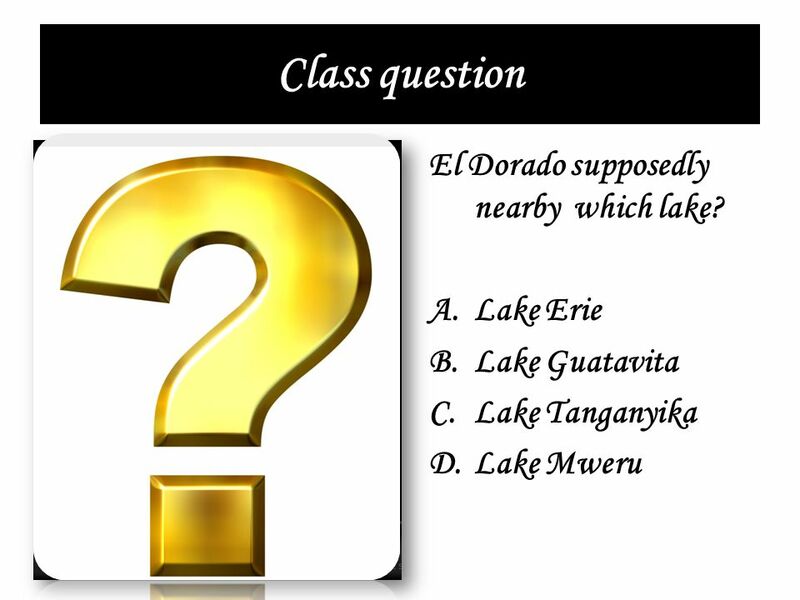 Based on Legend El Dorado (Spanish for "the golden one") …is a legend that began with the story of a South American tribal. Who am I? Explorer style. In search of a Northwest passage to China, I sailed for both the Dutch and English and explored parts of Eastern Canada. Though.